In episode 21 of the Suzi Witt Show, I am talking about conversion of the people who visit your website to be paying customers. How do you do this? What should you do when they give you their email and how do you nuture them? 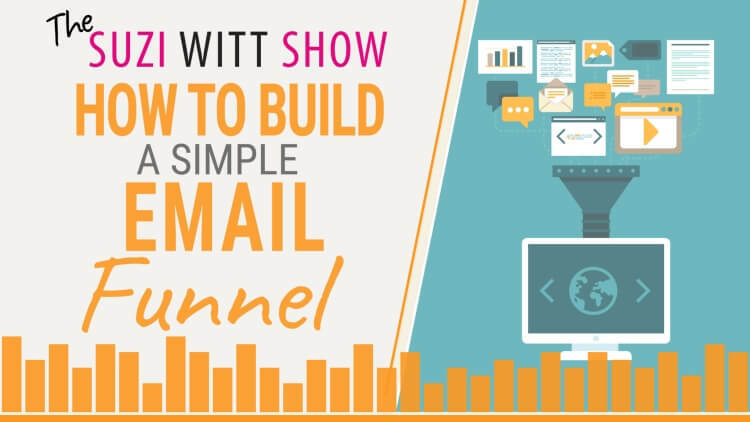 Tune in to this week's show to find out the how, the why and the when on building a simple email funnel. Find out what a simple marketing funnel is - in easy to explain terminology that anyone can follow. Understand the real purpose of an email funnel. Learn what emails you should include in a simple email funnel. Get a detailed description of how to build an email marketing funnel. Understand what goes on behind the scenes when you build your funnel. TSWS: 020 How and why you should batch your work and ditch the multi-tasking. TSWS: 003 Why your focus is all wrong - Why you need an email list not more time on social media. TSWS: 004 Confidence and your business.